NEW YORK (WABC) -- Enormous crowds like those expected for Pope Francis' visit to New York City typically result in one certainty: little or no cellphone service. Will this event be any different? Eyewitness News reached out to the four big companies that provide cellular phone and data service -- Verizon, AT&T, Sprint and T-Mobile -- to see how each is planning to handle the increased need for connectivity. But first -- it's important to know how cellular service works. 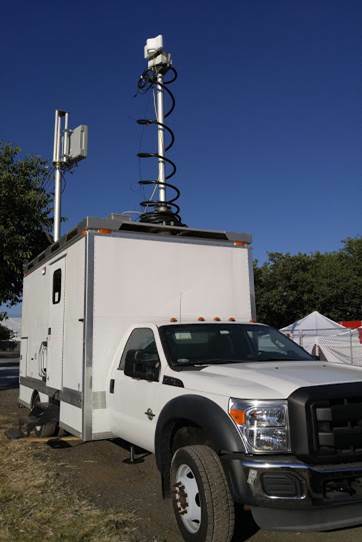 Each provider installs equipment at cell sites, which can be in towers, on top of buildings or via antennas placed inside buildings or underground. But each site can only handle a certain number of simultaneous connections. There's no distinct number per site, as each provider uses its own technology that handles multiple connections differently. The number of sites within an area typically depends on demand -- how many people the cellular provider predicts will need simultaneous service within that area. In a heavily populated area like New York City, there there are more sites closer together to be able to handle more simultaneous users. In rural areas, one tower can service a several-mile area. Your phone connects to the closest cell site with the strongest signal. So when there's a large gathering of people in one spot -- and everyone has a cellphone they're trying to use -- they're all trying to get on the same tower or set of towers. The only real way to eliminate or reduce this bottleneck is add more sites, whether they're permanent or temporary. The temporary is typically implemented using what the cellular providers call "COWs," or "Cell On Wheels." The photo to the right, provided by T-Mobile, shows one. For the pope's visit this week, all of the major providers are bringing in COWs to the city to help with surges of cellular traffic, particularly in the Central Park area for the pope's procession on Friday. Mayor Bill de Blasio said on Monday that 80,000 people are expected to be in the park -- that's a lot of cellphones to try to accommodate service-wise. "To support the papal visit, our local engineers have been working hard to provide the additional capacity needed to give customers a reliable experience across the various venues. Our efforts include a mix of permanent capacity upgrades as well as COWs (Cell on Wheels) to provide added capacity in high-traffic locations." Fowler also said Sprint engineers have been recently upgraded wireless systems in many of the public venues where the pope will be visiting. He said additional service (in the 800 MHz band) was added to the 9/11 Memorial Museum. 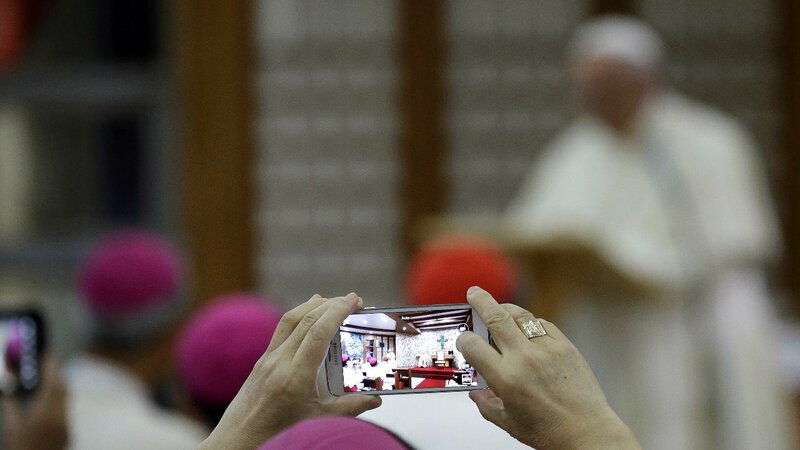 "When the crowds gather in New York to see Pope Francis they want their personal mobile tech to work - and work well. Our network teams have been working around the clock with officials in New York City, as well has Philadelphia and Washington DC to develop additional plans to support the Pope's visit." Testa said there will be COWs and other equipment used to help increase capacity in areas where events are taking place. "Our engineering teams have the Pope's itinerary - from the United Nations General Assembly and the 9/11 Memorial and Museum at World Trade Center to Our Lady Queen of Angels School, Central Park and Madison Square Garden- and will be hard at work monitoring our network and making sure our New York customers have the speeds they expect for all the Tweeting, Facebooking and Instagramming they have in them when the Pope visits New York." McKenzie also said in addition to bring in COWs, the company has increased capacity at existing cell sites and is running a Distributed Antenna System (DAS) through Madison Square Garden. VERIZON: "It is our expectation that calls and texts will go through when our customers press send." AT&T: "While AT&T is doing everything we can to bring in extra resources to support this event, wireless customers - regardless of provider - may encounter congestion during the peak of activities." * Don't get trapped in a "send/end/send" loop. Pushing "send" or "upload" repeatedly on your phone in rapid succession doesn't give your device time to re-connect to the network, and thus your call/text/upload won't complete. If you aren't able to connect, wait 15-20 seconds and try again. If that doesn't work, save your upload for later. SPRINT: While the company said it has upgraded its network across the city and has plans to use additional equipment to handle a surge in usage at pope events, it didn't provide an answer to our question of kind of service customers should expect while attending such events. T-MOBILE: "We'll do everything we can to make sure our New York customers have the speeds they expect for all the Tweeting, Facebooking and Instagramming they have in them when the Pope visits this week." * Use Wi-Fi Calling to conserve network resources or if cellular service is not available. Every Wi-Fi connection works like a T-Mobile tower. Every time you connect to a Wi-Fi network your phone is ready to go. * Send a text instead of calling. Text messages are more likely to get through during high network usage period since texts require fewer network resources. A series of events of this magnitude will most certainly challenge all of the providers. If you're attending any pope events, be sure to use the hashtag #abc7ny on Twitter and Instagram to share your photos and videos with us.